Great games, great odds, and great promotions. That's a winning combination at the Stratosphere Las Vegas Hotel and Casino. Stratosphere Las Vegas Hotel and Casino has thousands of options to suit every gaming preference - even a few games you won't find at other Las Vegas Strip casinos. 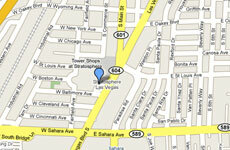 The Stratosphere offers the newest and most exciting slot and video poker games. Favorite titles include Kenny Rogers "The Gambler," Phone Tag, Turkey Shoot, Triple Lucky 7's, Ace's and Faces Video Poker, Super Aces Bonus Poker, Price is Right, 10 Play and 50 Play Poker. We also offer the best odds on our slots, including 100% Return on Quarter Video Poker. The Stratosphere exclusively features 100% Return Video Poker which has Six exclusive models of quarter video poker that are certified to pay returns of 100% bonus to guarantee your win. 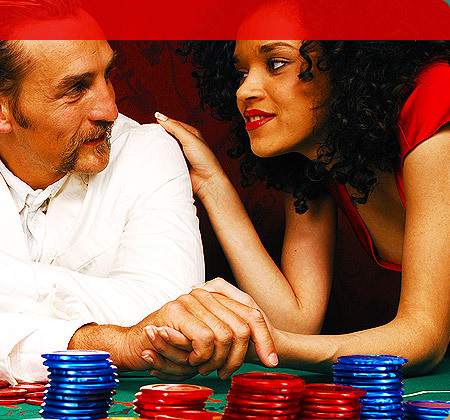 For some of the hottest table game action and promotions in Las Vegas look no further than the Stratosphere. Ante up and get your best hand ready because poker is back at Stratosphere! 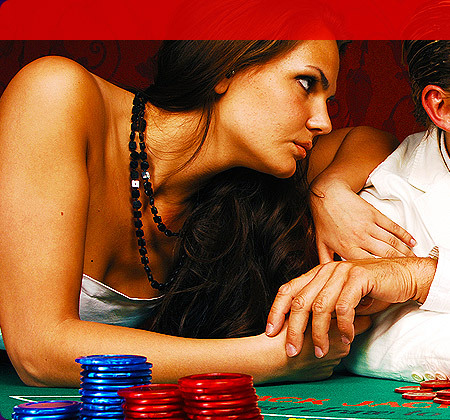 Take advantage of Free Poker Lessons, open 24 hours, 7 days a week (business allowing). Daily no-limit tournaments are held every 12 am, 1pm, 4pm and 8pm. No Re-Buy and No Add-On. A trip to the Stratosphere would be incomplete without checking out the action in the race and sports book. Place a bet on your favorite team or race. You can even wager on Arena Football and NASCAR, or place prop bets and futures on a variety of sports. The Stratosphere covers it all, and offers some of the best props and pari-mutuel action in town. Take in a game or race on one of the many wide screen televisions in this spacious area while you relax in comfy swivel chairs and enjoy cocktail service. 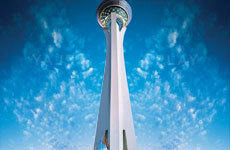 The Stratosphere race and sports book is known for its outstanding contests and special events. The Breeders' Cup Party and the Kentucky Derby Party highlight the excitement and thrills of horseracing. Football season is capped with a huge party with exclusive screens and professional cheerleaders to help you root your team to victory.